Holiday office party season means chit-chatting uncomfortably for 10 minutes with the bros from accounting before scurrying back to your desk with a glass of sparkling wine. How glorious does that $8 bottle of “champagne” taste once back in your own cubicle, right? But if you want to fully appreciate its nuances, foam and plastic cups might not be the way to go, says science. As part of a study concerning the acoustic properties of sparkling wine bubbles, lead research Kyle S. Spratt found that these bubbles behave quite differently depending on the type of cup holding the liquid. 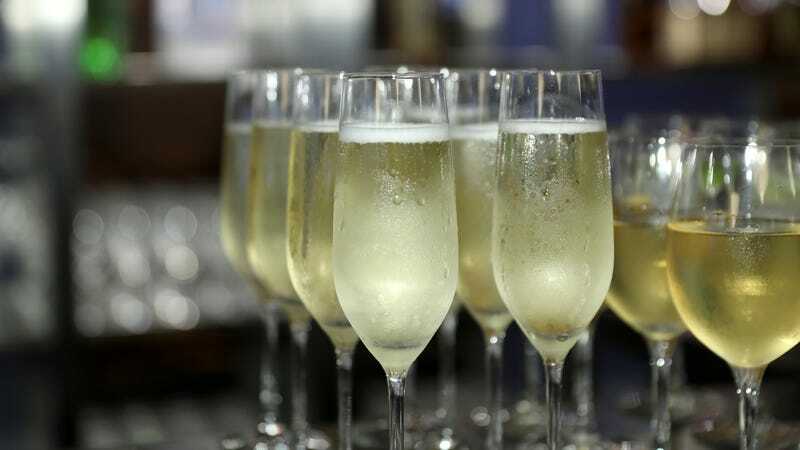 The study didn’t address whether the change in bubbles altered the perceived flavor of sparkling wine, but texture and size of carbonation are part of how our palates perceive Champagne or prosecco’s quality. So when Jake over in accounts payable calls you a brat for whipping out your own personal desk champagne flute, just roll your eyes. He’s only jealous his wine is relegated to one of those waxy cups from the water cooler.